These are the minutes from the May 9, 2017 Post meeting. The Meeting was opened by Commander Dane Vanoosten at 1900 hrs. With a total of 18 present consisting of 13 members and 5 guests. The MIA service, the pledge of allegiance and the reciting of the preamble were all held. The minutes from the, April 14, 2017 meeting were read. Motion was made by Marvin Vanoosten to accept the minutes as read and seconded by Melanie Konecny, all agreed. The finance report was presented to those present, a motion was made by Marvin Vanoosten and seconded by John Bartelt to accept the Finance report. Those present agreed. Commander Vanoosten stated that the Gun Safe is in place at the back of the room. A discussion was held as to putting some sort of screening around the safe so as not to have it visible to anyone in the room. At this time there was a question as to putting some covering or curtains on the front windows. There are City rules and regulations stating how high or low a covering should be, mainly so a Police officer can look in when the room is empty. Joe Wilson will check into it and will be brought up at the next meeting. He also stated that drywall would be put on the exposed metal stud at the back of the room. He also called notice that the floor had been painted. Those present were notified that the front windows needed calking and it will be done, no date has been set. Pat McPherson asked if there could be a small ramp put in at the front of the front door platform. Nick Jones talked about a face book spot for the Post. All agreed that that would be a good move along with the Posts web site to let Post members as well as the public know what is going on within the Post. There was a motion made to obtain, 8 six foot tables for this room at $39.00 dollars each, for this room by Melanie Konecny and seconded by Dan Ford. All agreed. Nick also talked about a planned motorcycle ride for the Cancer society and he would like the Post to be part of the event. There would be a $20.00 dollar entrance fee per rider and tee shirts would be given to the riders. A date has not as yet been named. A motion was made by Pat McPherson and seconded by Dan Ford to have Nick to get the Post involved. There was a discussion on what to do about the trap door into the basement. A vinyl cover has been placed over it but the thoughts were to put some sort of obstruction around it. A motion was made by Pat McPherson and seconded by Jim Vanoosten to place an iron railing around it. All present agreed. Joe Wilson stated that he has the room rented out for a graduation party and charged $100.00 dollars. He asked if that price would be agreeable to those present.A motion was made by Marvin Vanoosten and seconded by Melanie Konecny to keep that price for all rentals. All agreed. The meeting closed at 1942 Hrs. Meetings are held on the second Tuesday of the month at 102 E. Mason Street (next to Chesty P's), at 7:00 p.m. The Post, along with the Polo VFW, hold funeral services with a 21 gun salute and taps. 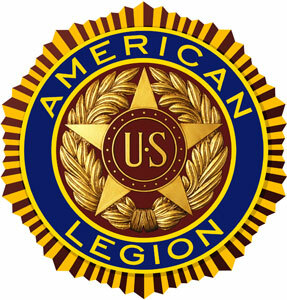 The next Legion meeting will be on June 13th at 7 p.m. at 102 E. Mason Street, Polo (Next to Chesty P's).